How Much Money Do You Really Save Using The Gas Buddy Phone App? 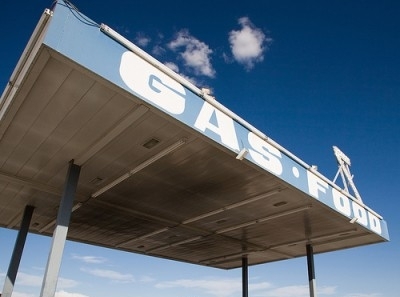 The Gas Buddy app is no secret to the world of road trippers with smart phones. It’s a gracefully simple idea: Travelers update current gas prices as you see them so drivers can find the cheapest gas. It’s beautiful — the collective travelers’ middle fingers in the direction of rising gas costs. In fact, this is the epitome of benefiting from the connected world we find ourselves in. But I’m a skeptic, so I ask: Is it really saving me money? I always have a pang of uncertainty when dealing with trendy little trinkets like this. Gas Buddy, you need to prove your worth to me. This past June I loaded up my Kia and headed to the Pacific Coast Highway; Destination: San Francisco. The journey was roughly 2,000 miles round-trip; the perfect opportunity to gather the evidence the logical lobe of my brain yearns for. Is Gas Buddy some God-send, saving us up to five martinis worth of gas per road trip? Or is it another addition to the other useless apps gathering dust in the recesses of your smartphone. On top of that, how much cost difference can there be within a manageable distance? Would that offset the shenanigans of time wasted searching for a 7-11 tucked inconspicuously behind a Costco megastore? Answers to all these questions are simply a road trip away (as are so many in life). Before I simply regurgitate numbers from my journal, it would behoove us to set some parameters to at lease give this micro-study some degree of credibility. Given that gas prices constantly change in prices, I decided to keep all the data relative to the relative area I found myself in — a few miles, let’s say. The fill-ups I did not record in my journal had no difference between existing prices and Gas Buddy prices. I also decided that the actual prices themselves had no real bearing on the benefits of the study — it’s all relative — so they were not recorded. Just keep in mind that driving in California is no cheap hobby. The total amount saved by using the Gas Buddy app comes to a whopping $4.01. In the grand scheme of things, that’s a pretty laughable amount — four measly bucks, roughly a gallon of gas. Is it worth it? That’s for you to decide. In my experience, I would say yes. Navigating Gas Buddy never takes more than a few seconds and the alternative gas stations with the better prices are never more than a block or two away. And there’s always that little pang of victory when you are pumping gas that’s pennies cheaper than your neighbor. After sitting in a car all day, it feels good knowing that you have about 30 cost-free miles from that $4 you save. I think mine came somewhere near the Sonoma County wine country or in Redwoods National Park. My wife likes to think her free miles were exchanged for the coastal lighthouses and epic camping near the beaches. Regardless, it’s my $4.01 and I got to choose exactly how I wanted to spend it. That’s gotta be worth something.